Beginning of the last week. The work is are now being manage according to the available time and number of elements in the team. In the enlarged area of sector Q the first structure is defined. We do not know if it is a tholos or not and if the part behind the section profile will replicate the observed one. But if so, it could look something like this. Next year we will know. In the other area of sector Q the excavation of ditch 13 continues. I will be talking about that tomorrow, perhaps. Meanwhile, pit 70 is closer to its end. It is a chalcolithic one and today a half pot was recovered. Those who follow my work know how I value these half parts of objects. 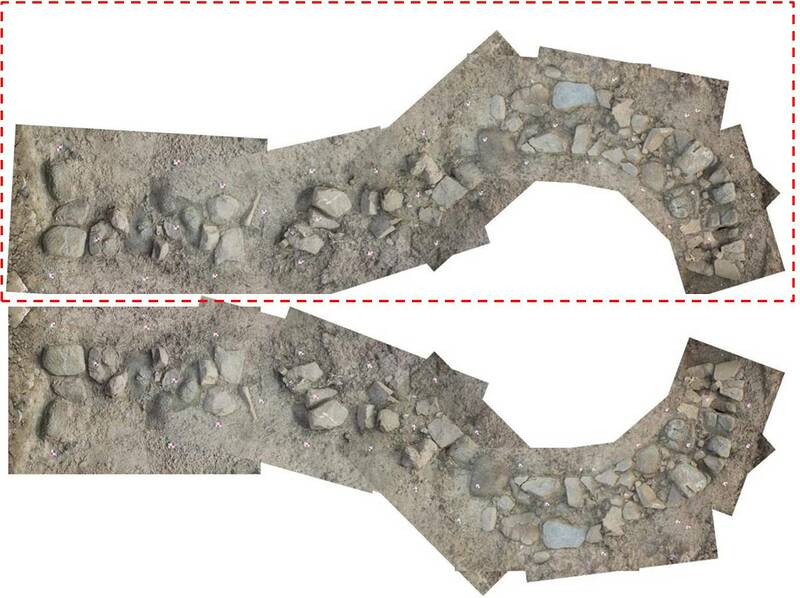 Finally, in sector H ditch 11 filling is becoming complicated, but it is definitively Late Neolithic.